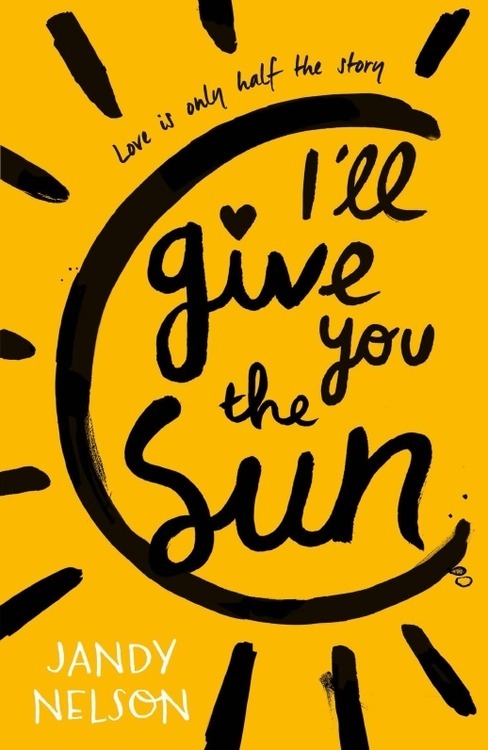 I’ll Give You the Sun is the second book I’ve read by Nelson, The Sky is Everywhere being the first. Now I couldn’t tell you what happened in TSiE I read it so long ago, but I remember the absolute adoration I felt for the book and that I recommended it to all my friends. So going into this one I knew I’d love it. Stylistically, I’ll Give You the Sun is not something I would usually read. I read a review in which it was described as “death by artistic metaphor” and I can see how they got this impression. In any other narrative, this style wouldn’t work. But Noah and Jude are artists, and they don’t see the world in the same way I do. They see the world in colour and movement and light, like a living painting, a living sculpture. I found that this was a really effective method to get into the headspace of an artist, something I’ve never been able to experience before. It was a really unique reading experience, and instead of being annoyed by it, or just tolerating it, I absolutely loved it. If you’re not usually into that flowery kind of prose, still give it a chance, you might like it. The book is divided into both Noah and Jude’s point of view, Noah’s POV from age thirteen and Jude’s POV from age sixteen. Both halves have very distinct voices, I never once got them mixed up like a sometimes do with other split POV narratives. They’re both excellent, but I personally preferred Noah’s sections. Another feature of the writing I loved were Noah and Jude’s little additions to the prose. Noah constantly paints in his head, and throughout the text Nelson scatters in the names of the portraits and self portraits he imagines. It’s such a creative and effective way to give another insight into how Noah is feeling. Jude’s text is littered from little excerpts from the twins’ grandmother’s ‘bible’, a book of superstition and witchcraft-like-spells, written by both Jude and Grandma Sweetwine. The narrative is hugely influenced by fairytale and folklore, which gave a strange but fascinating magical realism to the text. I wasn’t a huge fan of the prophecy aspect, but I see how it added to the plot and the overall feel of the book. The book primarily deals with relationships, both romantic and familial. I was surprised by how small a part Jude and Noah’s romantic relationships played in the book, considering that is what the blurb and summary focussed on. Nelson focusses on the codependent relationship between the twins, and how they fall out and become almost estranged. Jealousy and sibling rivalry play a huge part in the breakdown of Jude and Noah’s relationship, and shows how damaging this competition can be to familial relationships. Parent-child relationships are also very important, and Nelson explores the different bonds between father, mother, son and daughter. Nelson also deals beautifully with grief and bereavement, and how those left behind tend to blame themselves for the death of a loved one. All the characters deal with grief in different ways, some more self destructive than others, but we also see the different ways people can come back from a colossal loss. Both Jude and Noah deal with their identity over the course of the narrative. Noah really struggles to come to terms with her sexuality, what it means for his future and how others will perceive him once they find out. Jude struggles with whether or not she is “that girl”, and the strain it puts on her relationship with her mother. This was my least favourite part of the book. I feel Nelson blames Jude’s promiscuous behaviour on her desire to aggravate to mother, and Jude feels like the universe punished her for her behaviour, and then decides to boycott boys in order to make things right. This made me feel a little uncomfortable, but I may have misunderstood. Feel free to correct me if I’m wrong. I’ll Give You the Sun is a beautiful novel, and I would thoroughly recommend it to everyone. I was thoroughly engrossed by it, and I’m still thinking about it two weeks after I finished it.